The long-awaited and highly anticipated Bhubesi Pride Foundation / DieHardRugby Academy schools rugby tournament set for Friday 10th August, 2018 at Green Eagles Rugby Club in Kabwe, Zambia. 5. Green Eagles Youth Academy. 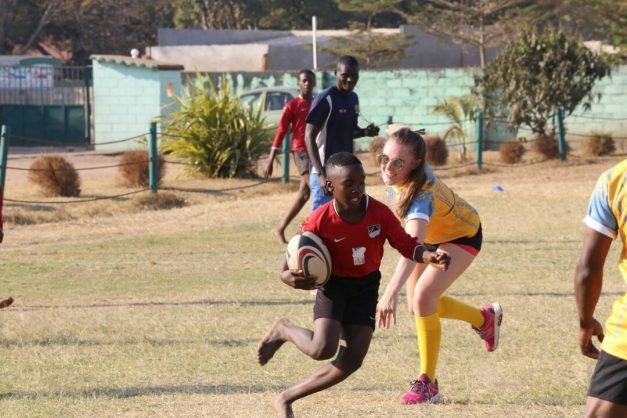 “We have deliberately made the decision to spread the participants across most, if not all, schools in the town because our target is to ensure as many young girls and boys come into contact with the rugby ball as possible, he said. The tournament which has attracted 50 kids aged between 09 to 14 years old from each of the 5 locations will kick off at 08 am and is set to end at 1pm in the afternoon. The local radio stations in Kabwe havebeen working with the odganisers in a bid to generate the much needed interest among the local residents. “As a bonus to the fans, we have asked the u16 rugby players from DieHardRugby Academy to play a contact rugby game against their opponents from Sables Nua Centre as they initiate preparations for the forthcoming National Youth Rugby Festival” Chaloba concluded.